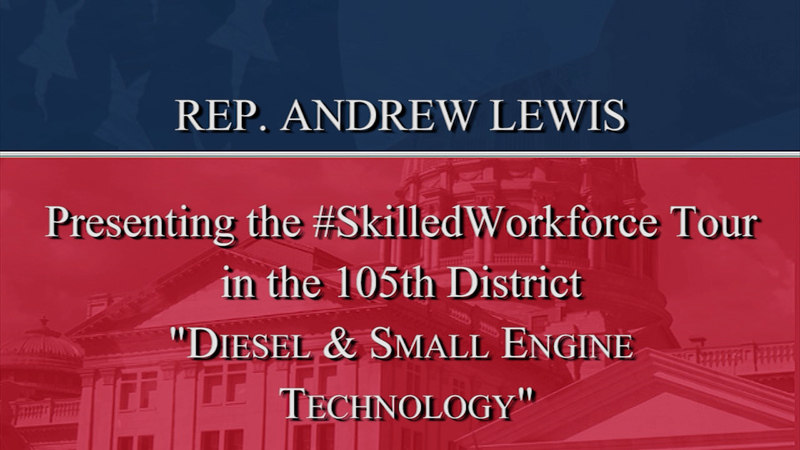 On the fourth stop of his Skilled Workforce Tour in the 105th District, Rep. Andrew Lewis talks with students participating in the Diesel and Small Engine Technology program at Dauphin County Technical School. 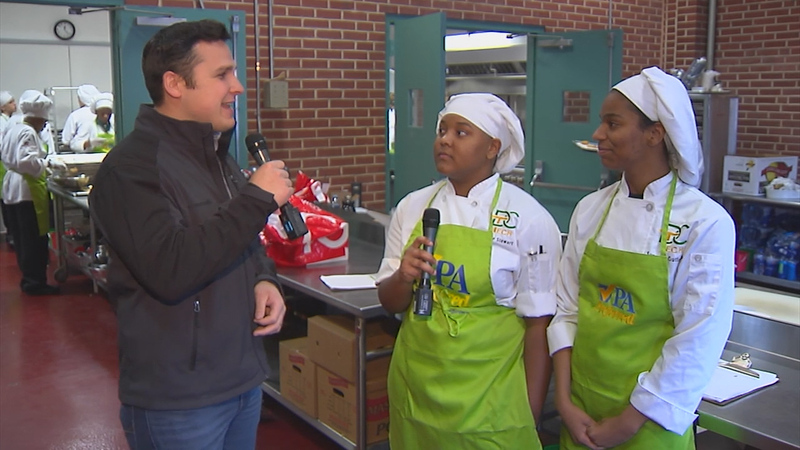 The tour is designed to highlight training and career opportunities in various trades, many of which are seeing a shortage of qualified employees. 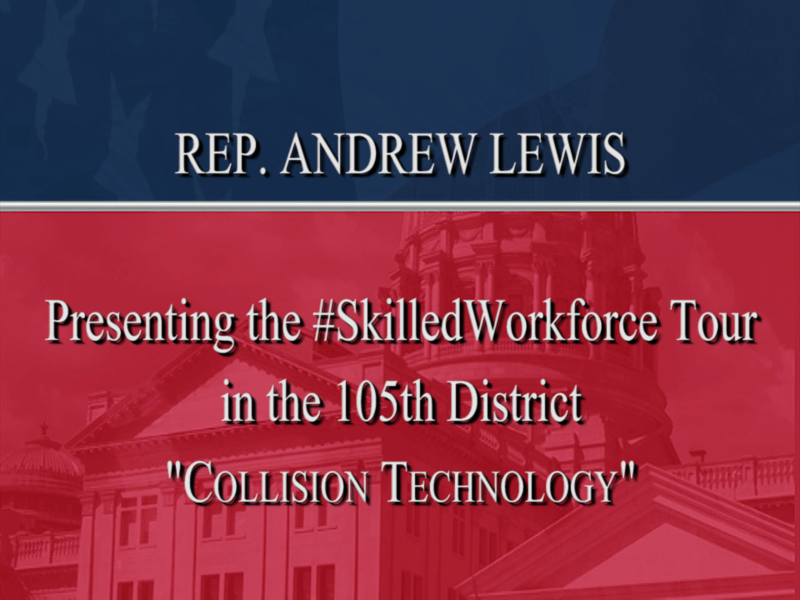 On the third stop of his Skilled Workforce Tour in the 105th District, Rep. Andrew Lewis talks with students participating in the Automotive Collision Technology program at Dauphin County Technical School. The tour is designed to highlight training and career opportunities in various trades, many of which are seeing a shortage of qualified employees. On the second stop of his Skilled Workforce Tour in the 105th District, Rep. Andrew Lewis talks with students participating in the Automotive Technology program at Dauphin County Technical School. The tour is designed to highlight training and career opportunities in various trades, many of which are seeing a shortage of qualified employees. 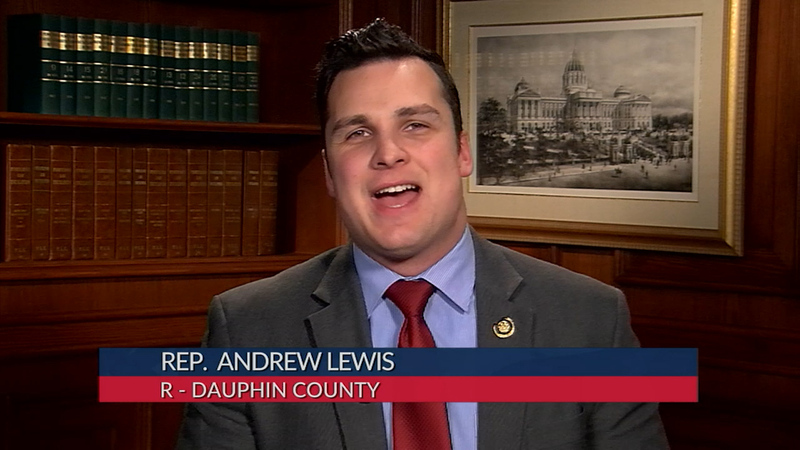 Rep. Andrew Lewis offers a review of the week’s legislative session activities. On the first stop of his Skilled Workforce Tour in the 105th District, Rep. Andrew Lewis talks with students participating in the Building Construction Technology program at Dauphin County Technical School. The tour is designed to highlight training and career opportunities in various trades, many of which are seeing a shortage of qualified employees. 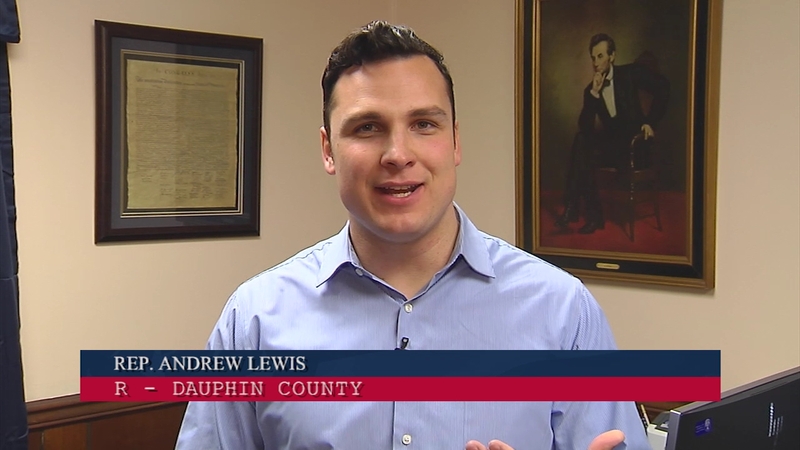 Pa. State Rep. Andrew Lewis informs constituents of his recent committee assignments and the responsibilities of each. 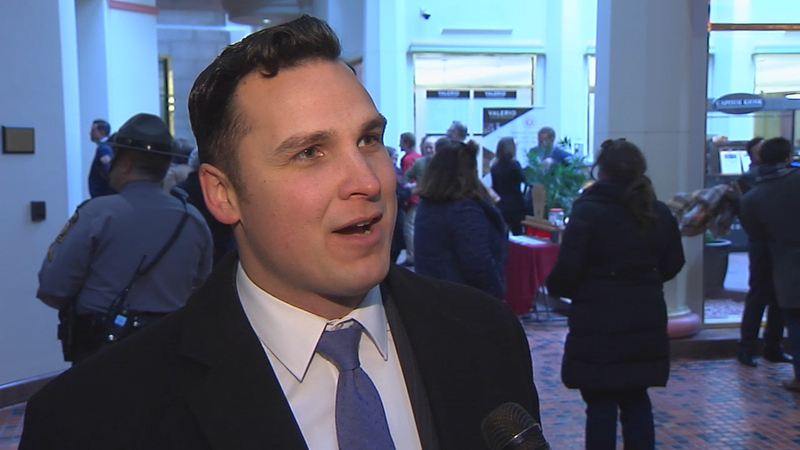 Pa. State Rep. Andrew Lewis responds to Governor Wolf's Inaugural Speech held January 15th, 2019. 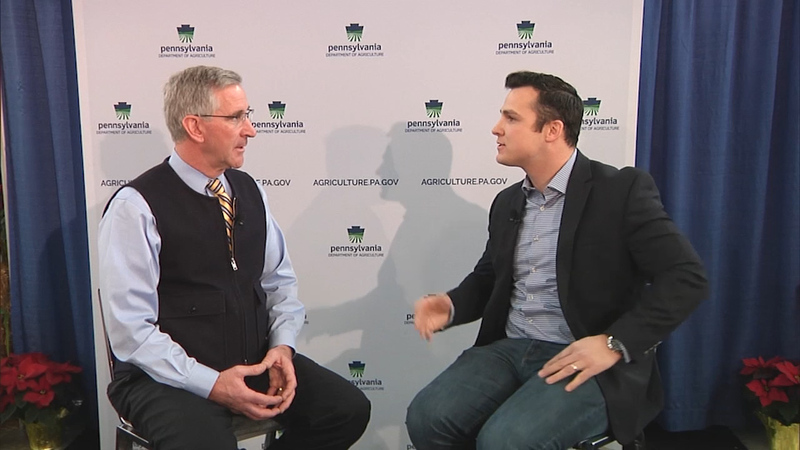 Pa. State Rep. Andrew Lewis sits down with Agriculture Secretary Russell Redding at the 103rd Pennsylvania Farm Show. 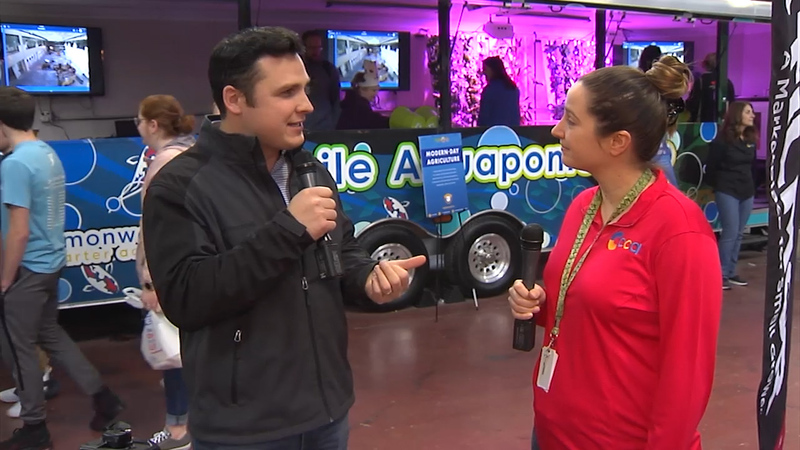 State Rep. Andrew Lewis caught up with Samantha Johnson of Commonwealth Charter Academy (CCA) at its aquaponics trailer at the 2019 PA Farm Show. CCA recently opened a 6,100-square-foot, state-of-the-art agriculture center located at its Capital Campus. Pa. State Rep. Andrew Lewis interviews students from Dauphin County Tech.